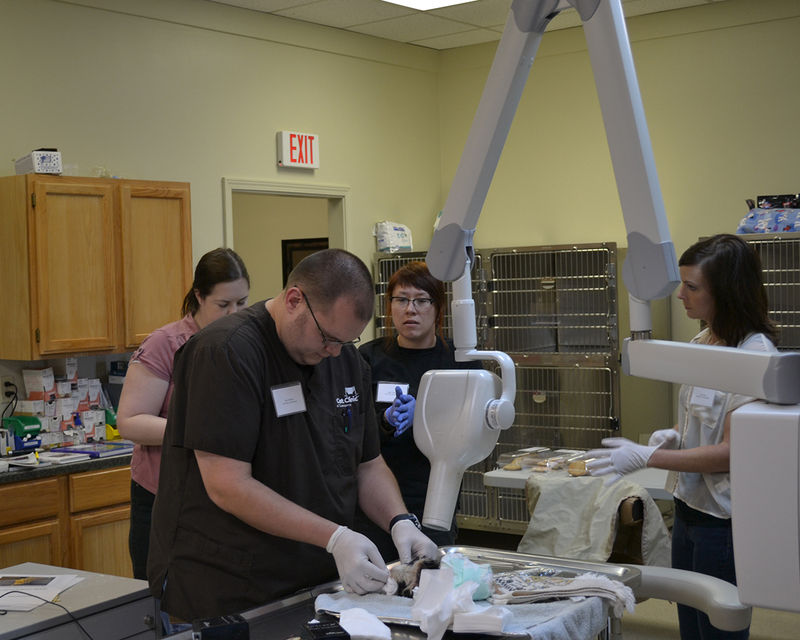 This wet lab is designed to help doctors and technicians become more proficient in taking and positioning for intra-oral dental radiographs and how to incorporate dental radiographs into your practice. This wet lab is designed to help doctors become more comfortable and proficient with difficult, surgical extractions. We will also talk about how to troubleshoot common complications associated with surgical extractions. 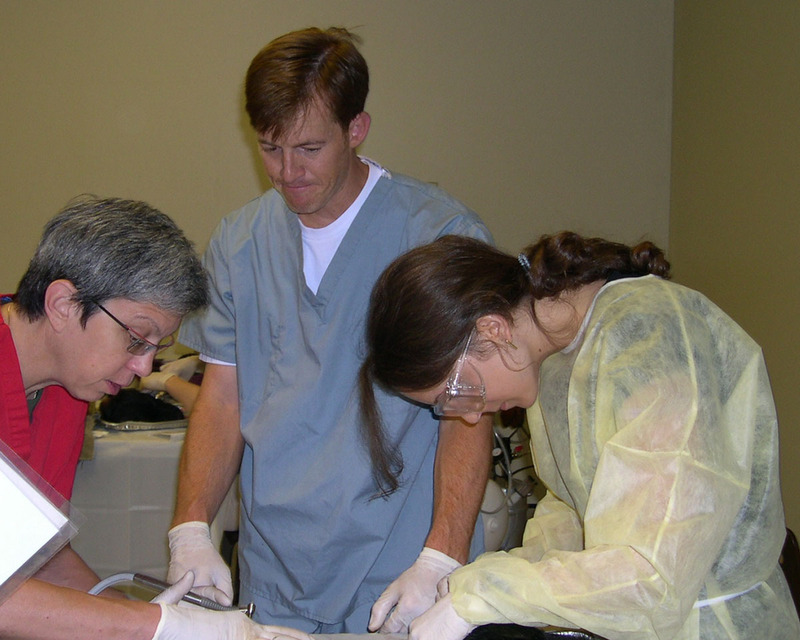 We will discuss proper equipment as well as how to incorporate local anesthesia. At CAD continuing education is important to us because we understand that veterinary dentistry is often not taught during veterinary school and practitioners need a place to hone their skills. All our CE calsses are RACE approved for Kansas and Missouri. Course topics include: Surgical Extractions • Periodontal Therapy • Dental Radiology • Multi-Model Pain Management • Instrument Care • Basic Dental Skills Register online, or call the CAD office at 913.742.8686 to reserve your spot.